Turkish President Recep Tayyip Erdogan said Ankara would reconsider its approach to protecting its national borders, including building walls along the border with Iraq and Iran. Thus, the planned walls will add to the one being currently constructed along the Turkish-Syrian border. According to Ankara, walls along the borders with Iraq and Iraq would contribute to curbing the flow of illegal immigrants and prevent Kurdistan Workers’ Party (PKK) fighters from entering the country. However, the idea has faced reserved reaction from human rights organizations and other regional powers. While US President Donald Trump’s plan to build a wall on the border with Mexico still remains on paper, Erdogan’s initiative has been increasingly taking shape. In terms of the total length, Turkey’s border installations may become the second-longest in the world, after the Great Wall of China. According to the 2014 plan, the wall along the Syrian border will have a length of 900 kilometers. In addition, a 140 km wall will be built along the border with Iran. As for a construction on the Iraqi border, its planned length has not been defined yet. Thus, Ankara is eyeing the world’s longest border protection facility of its kind. "The PKK has the Maku, Dambat, Navur, Kotr, Keneresh and Sehidan camps inside Iran near the Turkish border. There are some 800-1,000 PKK terrorists in those camps. 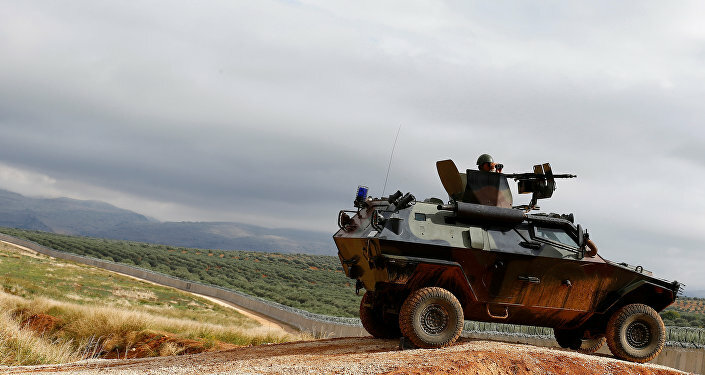 They enter Turkey, carry out attacks and leave… As a precaution against this, we are going to build a wall along 70 kilometers of the border near Agrı and [the eastern province of] Igdır," an official told Hurriyet Daily News. The rest of the border, which will be equipped with lights and will be closed with towers and iron fences, the official added. The highway in the eastern province of Tunceli will be placed under round-the-clock surveillance, according to the newspaper. As for Iraq, Ankara believes that the largest PKK forces outside Turkey hide in the Qandil Mountains in Iraqi Kurdistan. After a ceasefire between Turkey and the PKK broke down in 2015, Ankara started a military operation against Kurdish militants. Turkey's Defense Minister Fikri Isik said in April that the government forces had killed over 10,000 Kurdish militants since July 2016. Turkey’s neighbors have expressed mixed feeling over the initiative. After a pause, Tehran said that it supports the effort. Being unable to influence Turkey’s decision, Turkey’s neighbors have no choice but to take an advantage of the situation. For example, Iran expressed hope that the construction of a wall will stop smuggling of Turkish products. At the same time, in an interview with Sputnik Persian, Iranian political analyst Hassan Hanizadeh called Turkey’s plan "absurd." "The construction of the wall on the Turkish-Iranian border, Hassan Hanizadeh said, will have no impact on the security within Turkey and is in itself absurd. Iran is one of the very few stable and secure countries in the Middle East. Iran has defied international terrorism and is waging war against this evil," Hanizadeh said. He stressed that Iran poses no threat to any state, especially to its neighbor Turkey. Turkey's measure will only lead to more political isolation. The expert also noted that it is a highly costly measure, which still will not guarantee any security in Turkey. Apparently, the main target of the Turkish border wall policy is Syria. As of June 2017, 50 percent of the constructions are completed on the Syrian border. Human rights organizations are concerned about the growing isolation of Syria. The situation is further complicated by the fact that Lebanon and Jordan have also strengthened their borders with Syria. "They have made Syria into a very big prison. Lebanon has closed its border more or less. There's no wall but it's close to being one. Jordan has an earth berm and is using American technology such as night-vision stuff to close its border and nobody gets across," Killian Kleinschmidt, founder of humanitarian consultancy Switxboard, said. Initially, the construction of a border wall with Syria was aimed at curbing illegal migration. Currently, there are three million Syrian refugees in Turkey, with the majority of them not being able to economically and socially integrate. 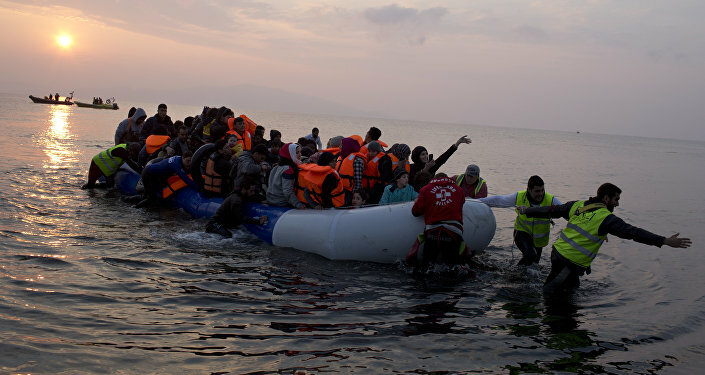 In 2015, a lot of Syrian refugees left Turkey for other European Union countries, resulting in an unprecedented migrant crisis. In 2016, Ankara and Brussels signed a migration deal under which Turkey was expected to help the EU resolve the crisis. 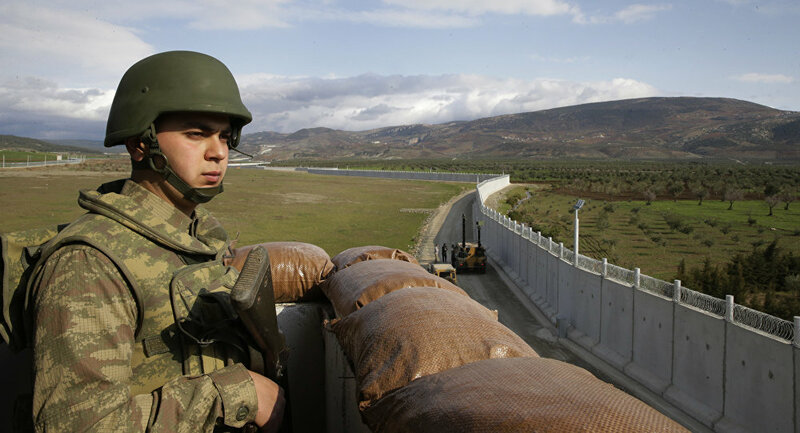 According to Hurriyet Daily News, a Turkish wall along the Syrian border would serve the interests of the bloc struggling with the ongoing migrant crisis. At the same time, Ankara cannot expect that the construction will be funded by Brussels.